Our product range includes a wide range of shop floor crane, die handling stacker, lift cage crane, engine trolley and material handling trolley. Owing to the expertise of our professionals, we have been able to manufacture and supply excellent quality Shop, Floor Crane. Our floor crane is tested upon a series of parameters in order to deliver a fault-free range. Moreover, we provide this floor crane in multiple specifications as per the requirements of customers. 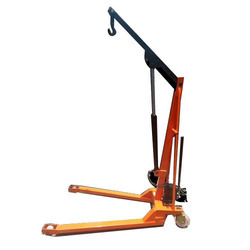 Our offered floor crane is well-known in the market for its easy mobility. Leveraging upon our experienced team of professionals, we are able to manufacture and supply superior quality Die Handling Stacker. 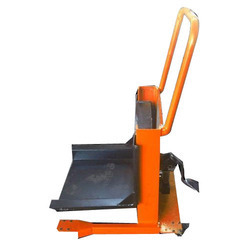 We manufacture this handling stacker employing cutting-edge techniques and quality approved material in fulfillment with the set industrial norms. 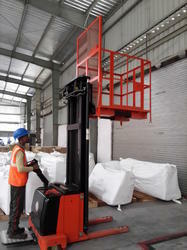 As well, our handling stacker is checked by our adept quality controllers in order to avoid any possible defect. 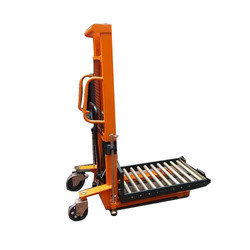 Customers can avail this handling stacker at affordable prices. We are a remarkable entity, engaged in offering a superior assortment of Lift Cage Crane. This lift cage is acclaimed in the market due to its best usage & quality. Our lift cage is manufactured by progressive techniques and high-grade material as per the market standards. Also, we provide this lift cage in numerous specifications as per the variegated needs of customers. 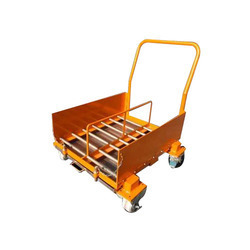 We are the leading manufacturer and supplier of Engine Trolley. This is precisely manufactured making use of optimum quality raw material & ultra-modern technologies. Owing to unique attributes like sturdiness & corrosion resistance, offered product is widely accepted by our prestigious customers. In addition to this, offered array is available in assorted dimensions and can be customized in assorted options.